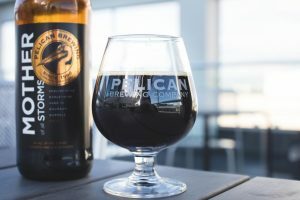 Pacific City, Oregon (October 18, 2018)—Pelican Brewing Company crafted a sensation when it released Mother of All Storms bourbon barrel-aged barleywine in 2009. It soon became a highly-coveted collectable and has been named one of the Top 100 Beers in the World and Top 25 Barrel-Aged Beers numerous times. Now with a nod to the popularity of ‘Mother’—and all of its barrel-aged releases that have since joined the flock—Pelican hosts a festive flight tasting and beer cuisine pairing. Registration for Take Flight events in Cannon Beach, Friday, November 16, and Pacific City, Saturday, November 17, are now open! Fellow fanatics who would like to pre-order a case of 2018 Mother of All Storms for direct shipment can click here. Take Flight, Cannon Beach, Friday, November 16, 4:00—6:00 p.m.
Take Flight escorts barrel-aged beer fans on a guided flight of Pelican’s current barrel-aged lineup including Captain of the Coast, Queen of Hearts, Father of All Tsunamis and longtime favorite, Mother of All Storms—all paired with appetizers to evoke the unique flavors of both beer and food. Pelican’s Cannon Beach-based brewer, Coren Tradd, will talk about the inspiration, unique character and profile of each beer and how the beers pair with the perfect bites. The event is limited to 20 guests and tickets are $45 and must be purchased in advance to reserve your spot. Twenty-one and over, please. 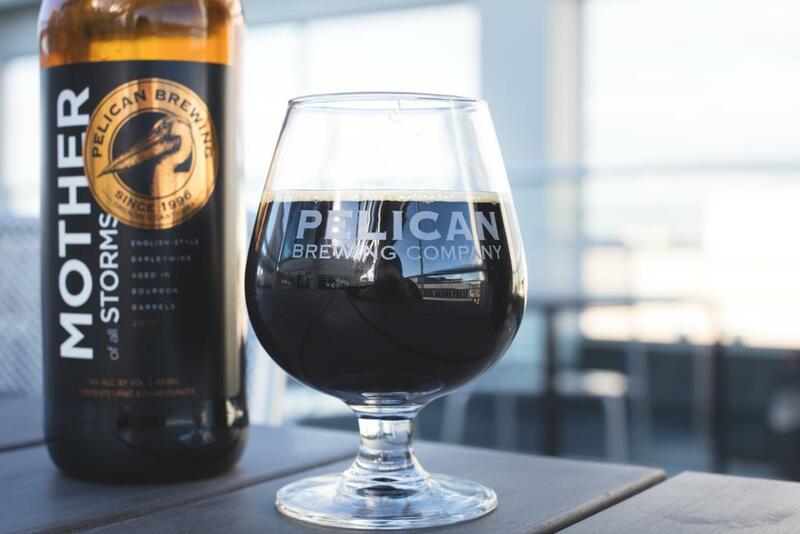 Take Flight, Pacific City, Saturday, November 17, 4:00—6:00 p.m.
Pelican’s founding brewmaster, Darron Welch, will conduct the barrel-aged guided tasting for up to 80 guests. Tickets are $45 and must be purchased in advance to reserve your spot. Register here for this special Pelican event.